Souper Spices Free Recipe Book. Over 40 recipes! One day at the farmer’s market Jim & Kathy Smith came up to me and asked if I had any recipe ideas to give them and all at once, I had an ”Aha” moment. Of course I have recipes and I use them every day… at home. That got me to thinking that I should send along some ***FREE** recipes to my faithful followers that use Souper Spice Blends and extend an offer of divulging my secret ingredients to those that don't use Souper Spices. I use Souper Spices almost every day-because I can and I know exactly which ones to use with each dish and these following recipes will give you some new and creative ideas. To let you in on a secret, it isn’t rocket science. You can use Souper Spices on anything you want! If you like a certain blend, try it on something different, but buy it and try it! You don’t know what your missing! ***FREE** to copy off this site and $.75 to download. With the download you get my Souper Spices recipes using Souper Spices PLUS Souper Spices secret ingredients!!!!! First here are some ideas and after that, over 40 tried and true recipes follow. 1-Add one tablespoon in your dried bread crumbs, flour or panko for an extra flavor boost for fried chicken, veal or pork chops. 3-If you have a bread machine, add 1 tablespoon pizza blend with 1-2 tablespoons parmesan cheese to basic white bread recipe. Herbes de Provence for Focaccia Bread is out of this world! 4-Use as a rub for roasts or chicken to add extra flavor. First rub with olive oil, salt and pepper and a tablespoon of pork, lamb, beef or poultry blends. 5-Blend one tablespoon herbal blend into a half cup butter and add to steamed vegetables. This can be kept for future use by freezing. 7-Experiment with dips and sauces. Have fun! So let’s get cooking! Need more free slow cooker recipes? Go to Top 10 Slow Cooker Recipes and try all my recipes for free! 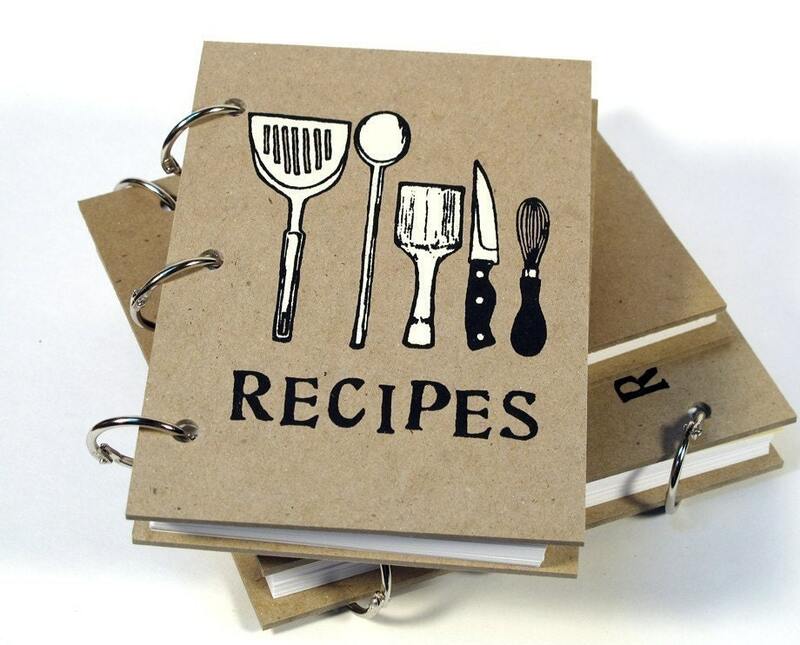 Any recipes or suggestions you may have and want to share would be fantastic! Combine mayo, buttermilk and sour cream in a bowl and whisk. Add Souper Spices Herbal Dip Blend and blend until completely mixed. Cover and refrigerate for 2 hours or overnight before serving. And refrigerate at least 2 hours or overnight. Serve with fresh veggies. Blend all ingredients except pecans and parsley and refrigerate at least 3 hours or overnight. Serve in bowl or shape into a ball and roll in chopped parsley and pecans. Have cheeses and butter at room temperature. Crush garlic & mix cheeses, butter and garlic. Add remaining ingredients, mix well. Pack into a container just large enough to hold the Boursin and store in refrigerator. To serve, bring to room temperature. Slice chicken breasts, as many as you need, season, and just stuff with cheese mixture OR pound out, spread on and roll up and secure with toothpicks. Layer in Crockpot, pour 1/2 cup dry white wine or chicken broth and cook on high for 6 hours. You can also top your baked potato with this or serve on crackers. Mmmmmmmmmmm! Mix all ingredients and let stand at least an hour or overnight to hydrate herbs. This is delicious with any meat fish or poultry. Perfect for kabobs and grilling! Mix Souper Spices Taco Blend and salt to sour cream. Refrigerate for at least an hour or overnight. Serve with Scoops Corn Chips or veggies. Try this on top of Taco salads or baked potatoes! In a large bowl place the scooped avocado pulp and lime juice, toss to coat. Drain, and reserve the lime juice, after all of the avocados have been coated. Using a potato masher add the salt and mash. Then, stir in Souper Spices Taco Blend. Add 1 tablespoon of the reserved lime juice. Let sit at room temperature for 1 hour or overnight in refrigerator and then serve. In a bowl, combine all ingredients and Souper Spices Taco Blend. Place in refrigerator for up to 12 hours for flavor infusion. For extra heat, add one seeded and minced jalapeno. Serve with tortilla chips. This recipe can be doubled. Bake taco shells according to package directions. Brown ground beef in a large skillet over medium heat and drain grease. Add the water, chilies and Souper Spices Taco Blend. Mix well and simmer covered for 10 minutes. Stir occasionally. In a small pan, warm the refried beans. When shells are cooled, evenly divide refried beans and spread in the bottom. Next, add lettuce, then taco mixture and top with cheese and black olives. Last, drop a tablespoon of salsa and on top of that, a tablespoon of sour cream. Serve with the extra salsa and sour cream. That’s a complete meal in a shell. If you don’t have shell, just use a large salad dish. Combine vegetables, olives, and parsley in a large bowl. Rest sliced feta on the top of salad. Combine oil, vinegar, and Souper Spices GRΣΣK Blend) in a small plastic container with a lid. Shake vigorously to combine oil and vinegar and pour over salad and cheese. Season with salt and pepper and let the salad marinate until ready to serve. Serve salad with pita bread. Peel cucumbers and dice. Put them in a colander and sprinkle with the tablespoon of salt (draws water out). Cover with a plate and sit something heavy on top. Let sit for 30 minute Drain well and wipe dry with a paper towel. In food processor or blender, add cucumbers, garlic, lemon juice, Souper Spices Greek Blend and a few grinds of black pepper. Process until well blended and stir into yogurt. Taste before adding any extra salt, and then salt if needed. Place in refrigerator for at least two hours before serving so flavors can blend. This will keep for a few days in the refrigerator, but you will need to drain off any water and stir each time you use it. Add all ingredients and Souper Spices Greek Blend and blend in a bowl. Form into patties. Spray a non-stick grill pan with cooking spray and heat over medium-high heat, or prepare the grill. Grill the patties until cooked through, about 5 minutes per side. Top with Tzatziki sauce or your favorite condiment. Heat the oil in a large frying pan over a medium heat. Add the onion and garlic and cook, stirring, for 5 minutes, until soft. Add the minced lamb/hamburger and cook until browned. Drain off the fat, and then return the meat to the pan. Add the purée and cinnamon and cook, stirring, for 1 minute. Add the tomatoes, then half-fill the can with water and pour into the pan. Add Souper Spices GRΣΣK Blend and bring to a boil. Reduce the heat and simmer, stirring occasionally, for 20 minutes. Preheat the oven to 350°. For the topping, mix the yogurt, egg and half the cheeses. Season with pepper. Cook macaroni in boiling water until al dente. Drain and spoon half into a deep, ovenproof dish. Season. Top with the mince and remaining macaroni. Press down, spoon over yogurt topping and scatter with remaining cheese. Bake for 25 minutes, or until golden and bubbling. Rinse the chicken and pat dry. Put the chicken in a cast iron pan. Whisk together the melted butter and honey. Add the Souper Spices Herbes de Provence, salt, and pepper. Pour the honey mixture over the chicken. Toss the chicken to coat. Pour the wine over the chicken. Bake the chicken in a 425 degree oven for about 45 minutes. If it starts to get dark, cover it with tin foil. It is not burnt, but the honey will turn color quickly. Make sure that your chicken is cooked through before you take it out. Take the chicken out of the pan and let rest on a plate. Put the remaining juices on the stove and boil over medium to high heat for about 3 minutes. Whisk the flour and chicken stock into the pan juices. Whisk constantly, until it thickens, about 3 minutes. Pour some of the gravy over the chicken. I served mine with some wild rice and roasted carrots. In a medium saucepan stir together rice, chicken stock, Souper Spices Herbes de Provence, salt, and pepper. Set over high heat, and bring to a simmer; cover, and cook 20 minutes. Fluff with a fork, and serve. Cook spinach, squeeze excess water out and chop. Cut up the bread into cubes and spray a 9 x 13-inch glass or ceramic baking dish with nonstick cooking spray. In a large bowl, whisk together the eggs and the milk. Whisk in the cheeses, Souper Spices Herbes de Provence, garlic powder, and salt. Stir in the spinach and bread cubes until the bread is completely moistened. Pour the egg mixture into the baking dish, smoothing it with the back of a spoon, if necessary. Refrigerate it, covered, for at least 4 hours and up to 24 hours. When you are ready to bake it, remove the strata from the refrigerator and preheat the oven to 350 degrees. Bake it in the center of the preheated oven for 45 – 50 minutes until it is browned on the edges and cooked through in the center. Cut it into squares to serve it. I have used Souper Spices Italian Blend and Herbes De Provence Blend in this recipe and it is delicious! Put the dough ingredients in the bread machine and set it to the "dough" cycle. When it's done, turn the dough onto a floured board. Oil a 10x15x1-inch jelly roll pan. With your hands, gently stretch and press the dough to fit evenly into the pan. Cover and let rise in warm place for 30-40 minutes, until doubled. Preheat oven to 400. With two fingers, poke holes all over the dough. In a small bowl, mix the oil and garlic and then drizzle over the top of the dough. Sprinkle with cheese and parsley. Bake 25-30 minutes, until brown. Cool on wire rack or cut into squares and serve warm. Place chicken in a large pot and cover with water (about 2 quarts). Bring to a boil and simmer 30 minutes. Skim top to remove fat and froth. While the chicken is simmering, sauté veggies in oil until limp. Remove chicken and de-bone then return to pot. Add all ingredients and Souper Spices Poultry Blend to pot and simmer another 30 minutes. Serve over Kowalski thin egg noodles. Mmmmm mmmmm good. Rinse chicken & set aside. In a 3 1/2 qt slow cooker combine mushrooms, tomatoes, frozen artichoke hearts, chicken broth, onion, olives, & wine/broth. Stir in cornstarch, curry powder, Souper Spices Poultry Blend, salt, & pepper. Add chicken. Spoon some of the tomato mixture over chicken. Cover & cook on LOW for 7 to 8 hours or on HIGH for 3 1/2 to 4 hours. Serve with hot cooked noodles or couscous. Serves 6. Preheat oven to 350 or per directions of cooking bag. *For the injector, simply melt the butter, add lemon and Souper Spices Poultry Blend. Rub chicken all over with olive oil Salt and pepper inside and out then inject chicken all over. Sprinkle a little SOUPER SPICE inside the cavity along with the lemon peel if you are not stuffing it with my special sausage and herb stuffing recipe. *For no injector, let butter reach room temperature. Mix in SOUPER SPICES thoroughly. Lift skin wherever you can and rub butter mixture on meat Squeeze lemon in and outside the chicken. Rub skin with olive oil. Finish as above. The cooking bag really makes a difference in the moistness as an end result but, is not necessary. In a large stewpot add chicken and water. Bring to a boil and lower to medium heat. Simmer chicken for about 30 minutes. Use a large spoon to skim off any excess fat. At this time you can remove the chicken and cool enough to remove the skin if desired. Place all other ingredients and Souper Spices Poultry Blend in pot and bring to a boil. Add chicken and simmer 20 minutes or until vegetables are done. If you wish, remove the chicken and vegetables on to a plate and make gravy by mixing- ¼ cup flour in a pint size jar. Fill with water, cap and shake hard to mix. Whisk into broth and stir until it thickens over medium heat. About 5 minutes. Serves 6. Heat oil in stew pot and add meat. Deeply brown then add water just to cover. Boil down water and brown meat again. Repeat this again. (Doing this will aid in tenderizing the meat and giving the gravy a nice, rich brown color). Add Souper Spices Beef Blend and all other ingredients to the pot with water so that all the veggies are immersed and can cook fully for about 30 minutes. Try the tomatoes for a change too! Serves 6. Boil potatoes in salted water until soft, drain, add butter, milk salt and pepper and mash. While potatoes are cooking, brown ground beef. Add onions, carrots and garlic and sauté until soft-about 5 minutes. Next, add the flour, blend well, add bouillon and bring to a boil. Add Souper Spices Beef Blend and remaining ingredients and simmer for a few minutes. Spoon meat mixture into the bottom of a large casserole dish. Top with mashed potatoes and bake for 25 minutes in a 400° oven and potatoes are golden. Heat the oil in a large casserole. Brown the stew meat well on all sides. When the meat is done, cook the carrots and onions in the same pot until tender and lightly golden. Add the garlic, and cook one minute. Add the flour and cook, stirring for 2 minutes. Pour over the wine and the stock. Add Souper Spices Beef Blend. Return the meat to the pot, cover, and transfer to a 325° oven and cook until the meat is very tender, about 2 hours. While the meat cooks, prepare the garnish: Heat the oil in a pan and brown the bacon and remove. Add the onions and cook until browned all over, remove. Finally, brown the mushrooms, and remove. Deglaze the pan with 1/2 cup water, reduce, and then pour over the garnish. Set aside. When the meat is done, remove it from the pot. Strain the stock, discarding the vegetables. Pour the liquid back into the pot, and boil until thick enough to coat a spoon. Return the meat to the pan and add the garnish. Cover, and simmer until the onions are tender and the flavors have blended, 10 minutes. Serve over egg noodles. Put the potatoes and carrots in a large slow cooker and top with the onion wedges, then the beef. Combine the ketchup, 1/4 cup water, vinegar, paprika, chili powder, mustard, seasonings (OR 1 Tbsp Souper Spices Beef Blend) Worcestershire sauce, and salt. Pour over the beef. Cover and cook on low for 8 to 10 hours, or high for 4 to 5 hours. Transfer the juices to a saucepan and simmer for 5 minutes. Combine the cornstarch with 1/4 cup water, stirring until the mixture is smooth. Pour into the simmering juices and cook, stirring, until thickened, about 1 minute. Serve the beef and vegetables with the thickened sauce. Serves 4 to 6. Mix all ingredients Souper Spices Italian Blend and together using your hands. Roll mixture into 1-1½ inch balls. Add oil to skillet and fry meat balls turning frequently for about 20 minutes. If you add the sausage, you may need to add more breadcrumbs. Add to sauce along with some of the grease and simmer. This will give great flavor to the sauce and helps thicken it. Makes about 20 meatballs. Cook pasta according to package directions and drain. Add all ingredients into large bowl. Shake dressing and add entire contents to salad. Toss well. If salad seems dry, add a little more of the oil, vinegar and seasonings. After tossing, salt and pepper to taste. Place all ingredients and 1 Tbsp Souper Spices Italian Blend in a jar with lid or cruet and shake well. Let stand for at least an hour to incorporate flavors. This can be doubled. In a 5qt pot add water, bay leaves and pork hocks. Simmer 1 hour. While the hocks are cooking, pan fry up the Italian sausage and cut in half. Remove ham hocks to cool. Add all other ingredients and seasonings 1 Tbsp Souper Spices Italian Blend bring to a boil and simmer for 30-40 minutes. There is a little meat on the pork hocks and it’s not the best thing for us but…I cut through the skin and get all the meat I can out of it. What doesn’t make it to the pot goes in my mouth. Peel and remove seeds from tomatoes. Sauté minced garlic in olive oil in a large skillet until soft. Gently crush the tomatoes with your hands into the skillet (You can also chop the tomatoes before hand). Add salt and pepper and seasonings 1 Tbsp Souper Spices Italian Blend then simmer for about 15-20 minutes. Serve over your favorite pasta. Slice pork loin down the center lengthwise, and then cut into 1 ½” cubes. Place in plastic sandwich bag with all ingredients and 1 Tbsp Souper Spices Pork Blend except for the rosemary stems. Marinate overnight or at least 8 hours. It really makes the difference in flavor. Take the cubed pork and skewer it on to the rosemary stem starting from the base or hard part of the stem. These can be cooked on the grill or in the broiler. Broil or grill for 20 minutes for medium to medium rare. Blend 1 Tbsp Souper Spices Pork Blend into softened butter thoroughly. Next, hollow out tenderloin with a sharp knife by inserting it in the meat and cutting close to the end and sides being careful not to pierce through. Try to keep the initial cut small. If you have a pastry bag, fill with butter mixture and stuff roast. Otherwise, use a blunt knife to stuff. Tie shut with two skewers. Rub outside with olive oil and season with salt and pepper. Top with sprigs of the fresh herbs and roast in a 375° oven for about 25-35 minutes for medium. Slice open pork chops starting at the fatty side and hollowing out back to the bone making sure the initial cut is not too wide. (I hate it when the stuffing falls out) You want to make the “pocket” as large as you can without piercing the outside. Mix bread cubes, 1 Tbsp Souper Spices Pork Blend, celery, onions and toss with melted butter. Stuff the chops, salt and pepper them and place a large baking dish. Pour in enough milk to just cover the bottom of the baking dish, (this keeps them moist) cover and bake for 35-40 minutes or until done in a 350°oven. occasionally for at least 4 and up to 24 hours. Preheat oven to 400°. Heat the oil in a large ovenproof skillet over medium-high heat. Remove pork from marinade, allowing any excess to drip off (reserve marinade). Cook pork, turning, until browned on all sides, 8-10 minutes. Transfer skillet to oven and roast until an instant-read thermometer inserted into thickest part of pork registers 140°, 10-15 minutes. Transfer to a plate and let rest for at least 10 minutes. Pour reserved marinade into a small saucepan. Bring to a boil, reduce heat, and simmer until slightly thickened, 5-8 minutes. wine and bouillon cubes. When cubes dissolve, add 1 Tbsp Souper Spices Pasta Blend and heat thru. This is a light sauce so serve over angel hair pasta. Try this with chicken, scallops, (pictured) shrimp, and mushrooms. Put the butter, oil, leek and garlic into a large bowl. Cover with plastic wrap and cook on high for 5 minutes. Stir the rice into the hot leeks, and then stir the stock and 1 Tbsp Souper Spices Pasta Blend. Toss in the mushrooms, stir and cook on high for 6 minutes. Mix in half the parmesan and leave the risotto to stand for 5 minutes. Serve with green salad and the remaining parmesan for the top. Cook macaroni according to package directions; drain and rinse with cold water until completely cool. In large bowl, combine mayo, vinegar, mustard, 1 Tbsp Souper Spices Pasta Blend, salt and pepper. Stir in macaroni, celery, green pepper and onion. Serve chilled or at room temperature. Cook pasta according to package. While the pasta is cooking, add the rest of the ingredients and 1 Tbsp Souper Spices Pasta Blend to a small sauce pan, heat and simmer for 5 minutes. Toss pasta with the sauce in a large bowl and serve with Pecorino-Romano cheese. Combine flour, brown sugar, white sugar, baking powder, baking soda, and salt in a large mixing bowl, and whisk together for two minutes. In a separate bowl, combine pumpkin puree, pumpkin pie spice 1 Tbsp Souper Spices Pumpkin Blend, egg, milk, 2 tablespoons of vegetable oil, lemon juice, and lemon zest. Mix in the flour mixture, and stir just until moistened. (Do not over mix.) Coat skillet with 1 teaspoon of vegetable oil over medium heat. Pour batter into skillet 1/4 cup at a time, and cook the pancakes until golden brown, about 3 minutes on each side. 6 servings. 1 tsp of Souper Spices Pumpkin Blend per cup of coffee. Measure out your coffee grounds and spices. Pour ground coffee and top with 1 tsp Souper Spices Pumpkin Blend into filter. Brew coffee as you normally would. I tend not to use the vanilla, because I like the flavor of just the pumpkin spice. Try adding a little honey too. Put everything in the slow cooker and Souper Spices Pumpkin Blend. Give it a stir and turn the slow cooker on. Cook on the low heat setting for 5 to 6 hours. Let the pumpkin butter cool for one hour or cover and refrigerate overnight. Now wasn’t that the easiest recipe ever? I put mine in canning jars. They will keep in the fridge for one week or in the freezer for up to 6 months. Place canned pumpkin puree into a pot, along with remaining ingredients; stir well. Bring to a boil over medium-high heat, stirring. Reduce to a simmer and cook until thickened and cohesive, about 30 to 40 minutes, stirring and scraping bottom of pot regularly. In a 3-1/2- to 4-quart slow cooker, combine pumpkin, chickpeas, carrots, onion, lentils, tomato paste, lime juice, cumin, Souper Spices Pumpkin Blend salt, turmeric, and pepper. Pour broth over all in cooker. Cover and cook on low-heat setting for 8 to 10 hours or on high-heat setting for 4 to 5 hours. Top each serving with peanuts, cilantro, and if desired, yogurt. Makes 6 (1-1/3 cup) servings.